Not afraid to take on creative challenges, Creative Fosse provides experience and determintation when it comes to creativity. 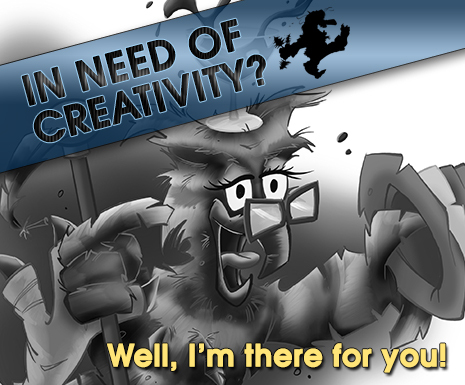 Are you in need of great artwork, cartoons & comcis, animations or character designs? Creative Fosse is at your service wanting to get things done. If you're in need of more businesslike kind of contents such as a logo, ads, etc. you might want to head over to www.mediacom-design.no and have a look around. Got a question, a proposal or just want to get things done? Get in touch with me by using the form below!